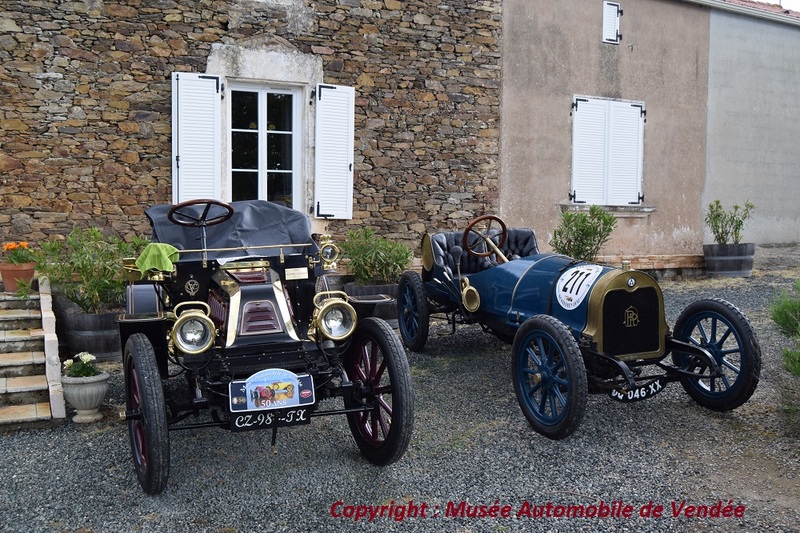 You will find on this page all news updated in real time! 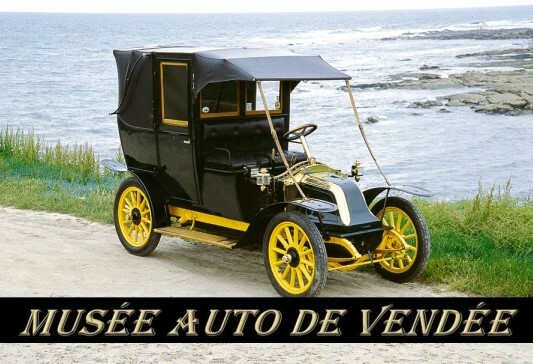 Do not hesitate to visit this page regularly. 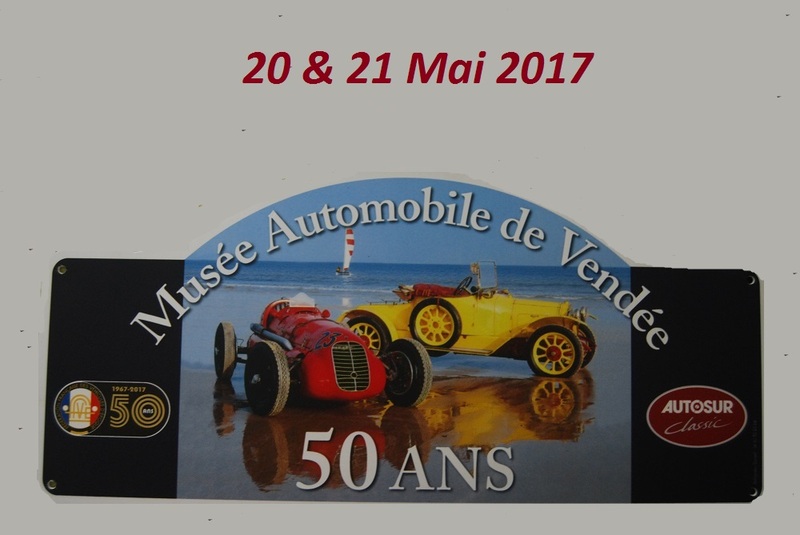 Don't hesitate to meet us during these events ! 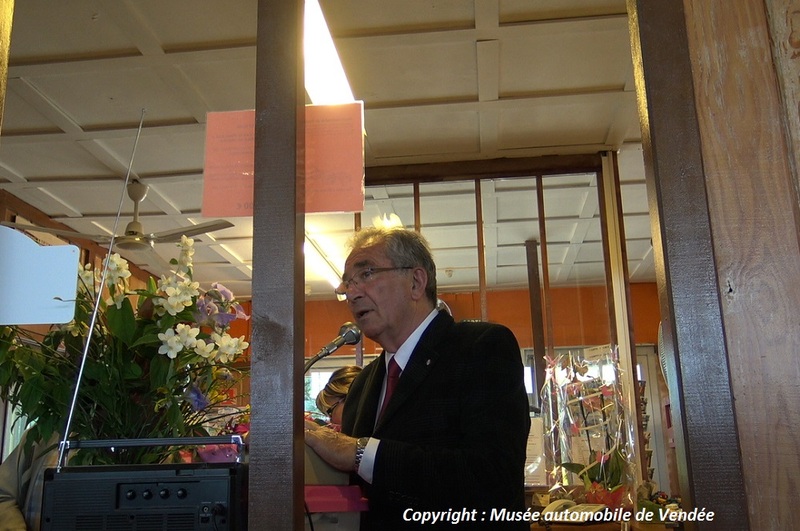 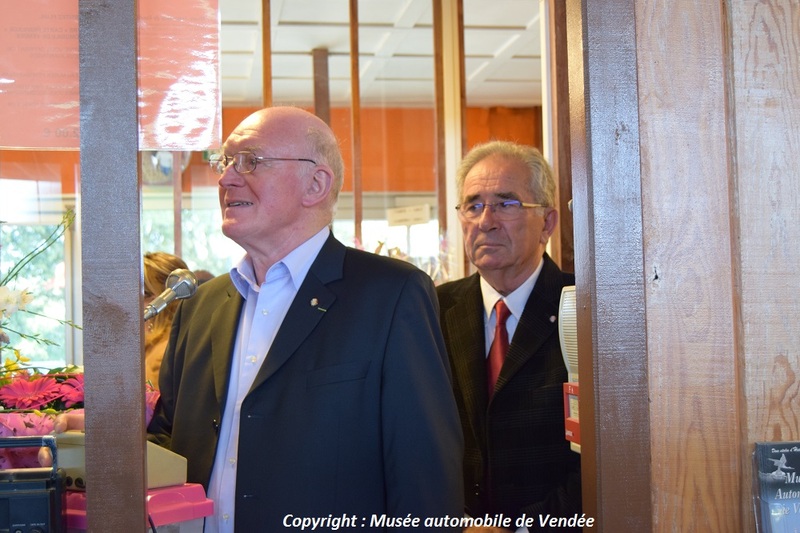 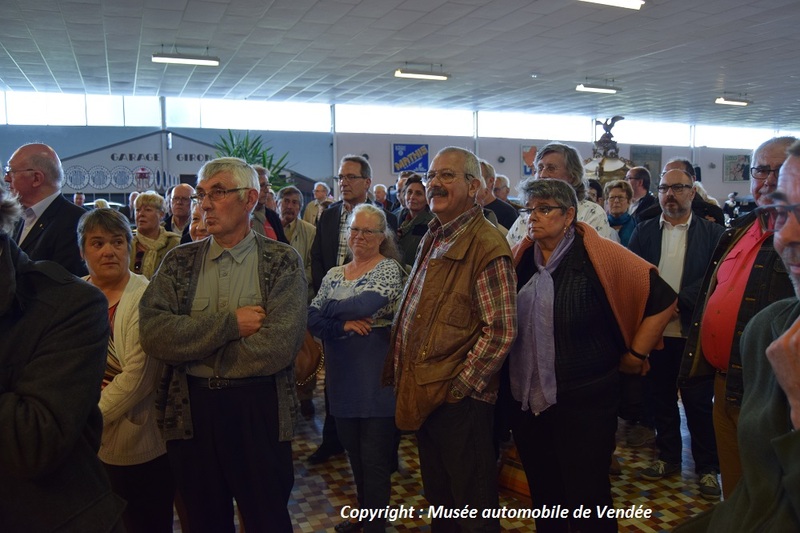 During the 50 years of the Museum, we organized a discovery tour of the South Vendée. 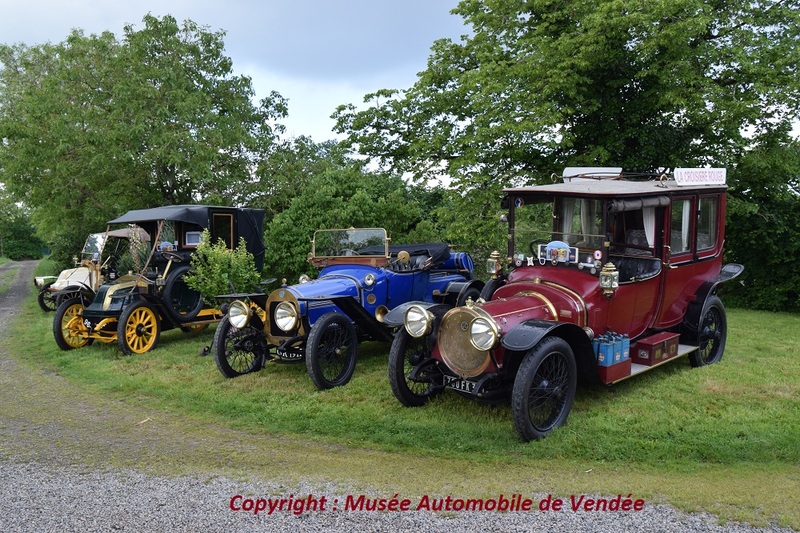 25 vehicles before 1914 were among us for these 2 days of walks, discoveries and meeting with a public always very numerous and surprised to see so many vehicles so old on the road! 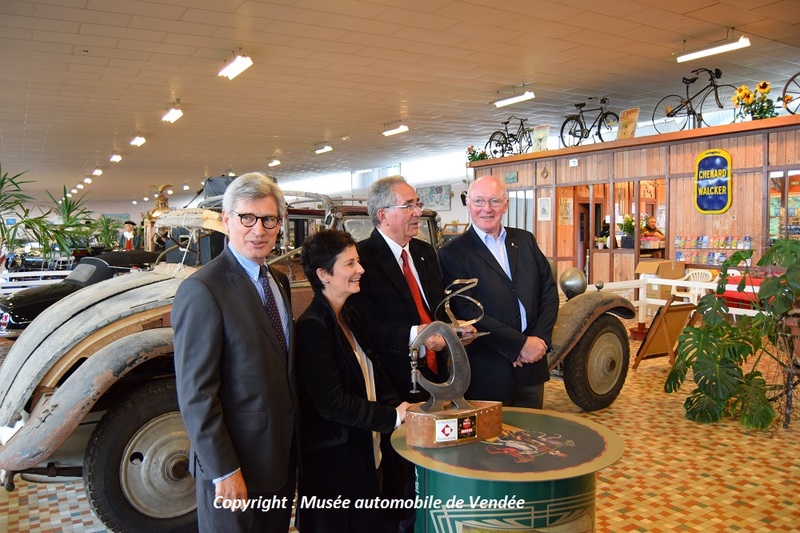 After the visit of the collections, came the time of the official speeches, photos before the friendly exchanges around a glass of friendship accompanied by the musicians. 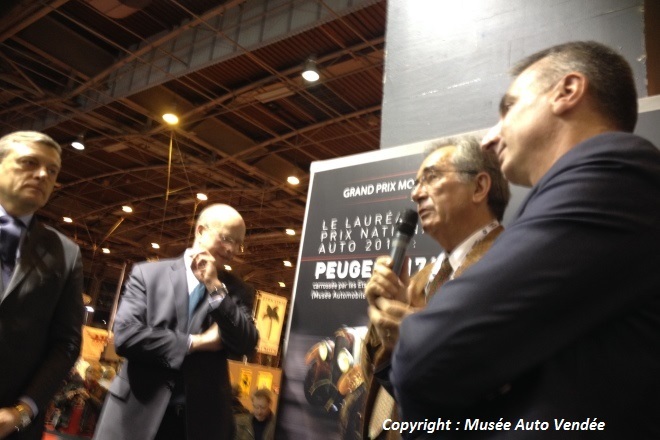 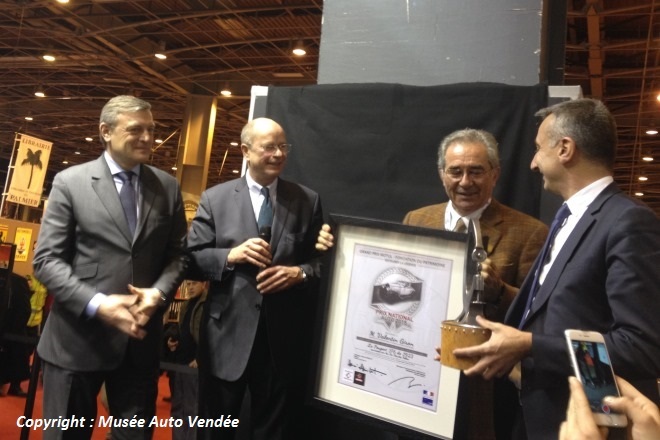 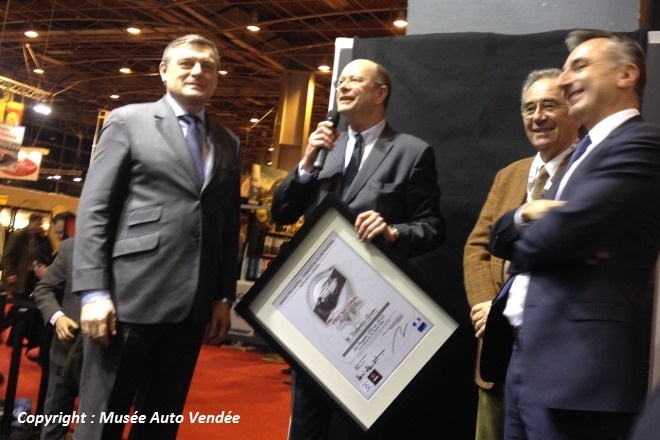 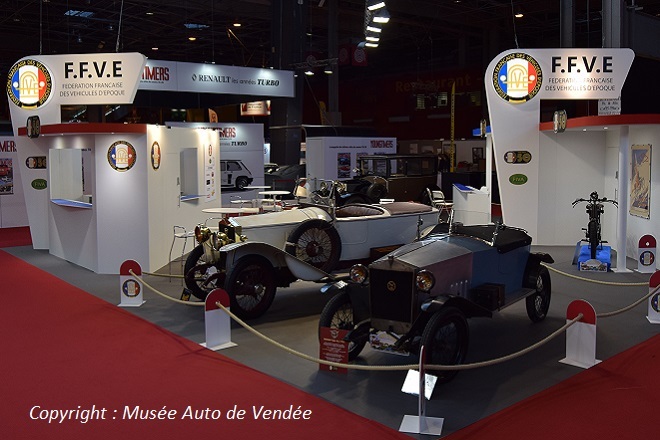 It was at the time of the show: RETROMOBILE 2017 was presented the new stand of the FFVE which will celebrate this year its fiftieth anniversary. 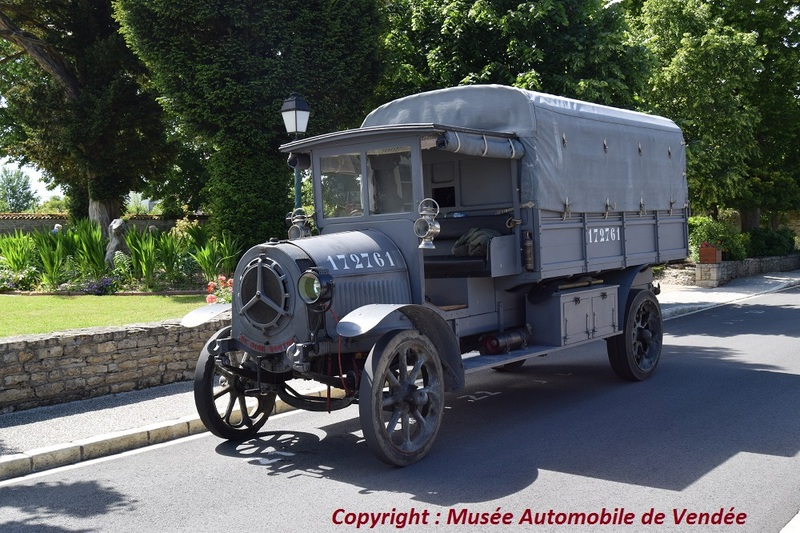 The Vendée Museum was represented by the BIGNAN 132 C Lagache and Glazmann torpedo of 1919. 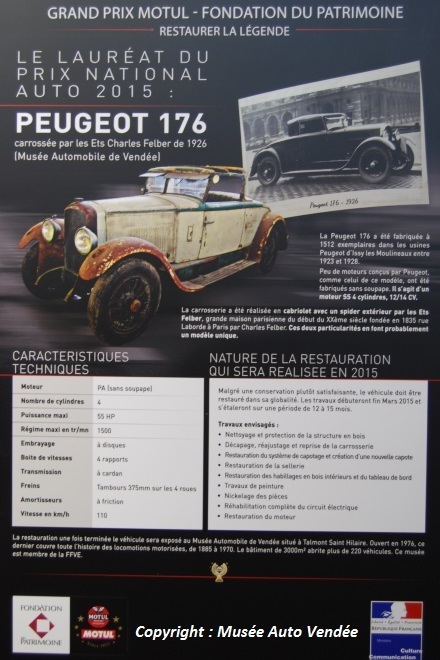 PEUGEOT 176 1926 engine without valves 4 cylinder 12-14cv. 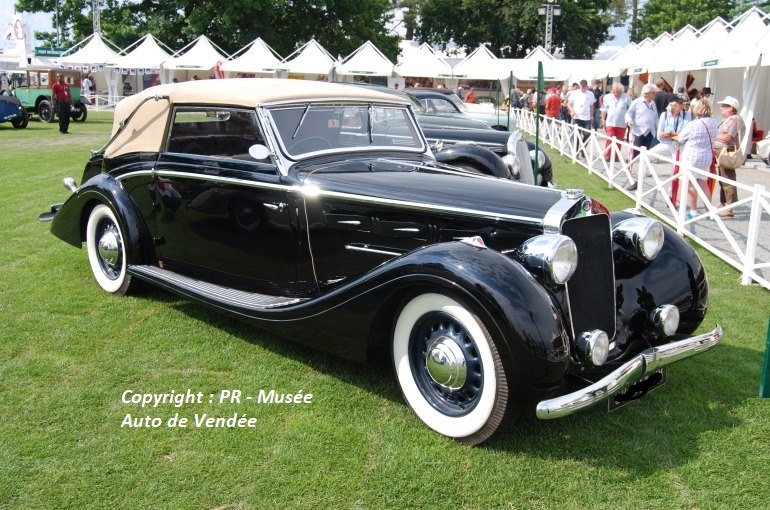 The convertible body shifted in top 2 places + spider was designed by FELBER. 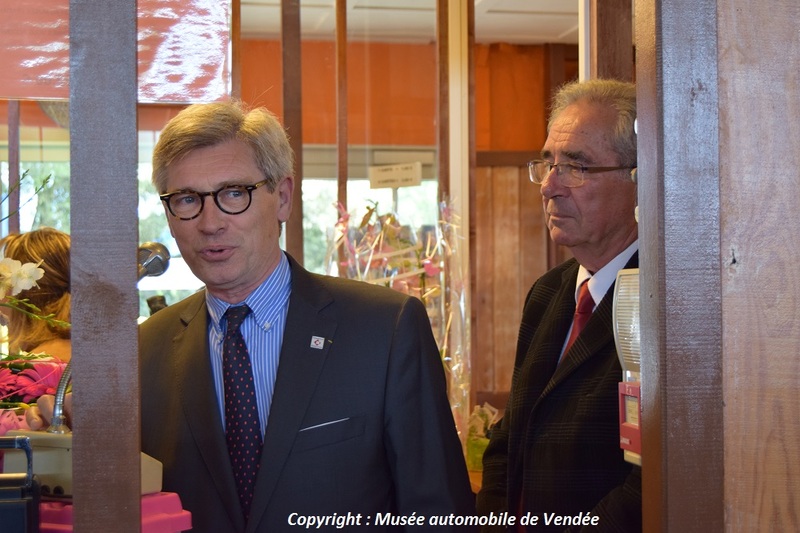 - Vincent Berjot: Director of Heritage at the Ministry of Cuture and Communication. 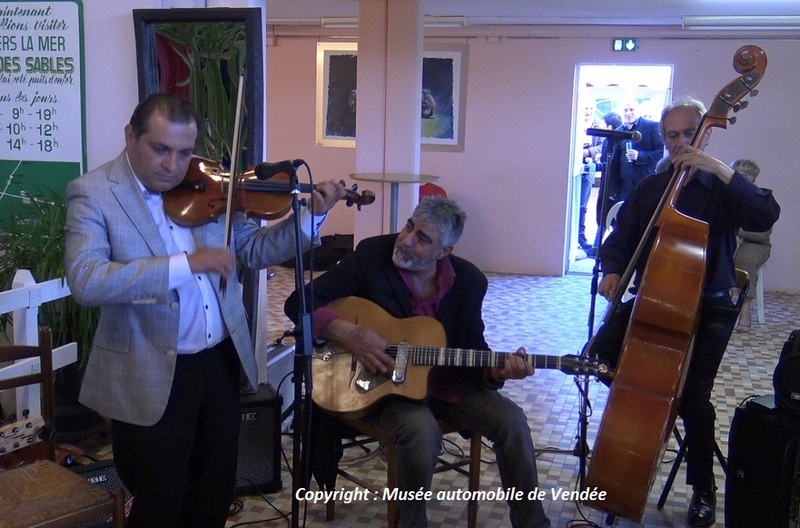 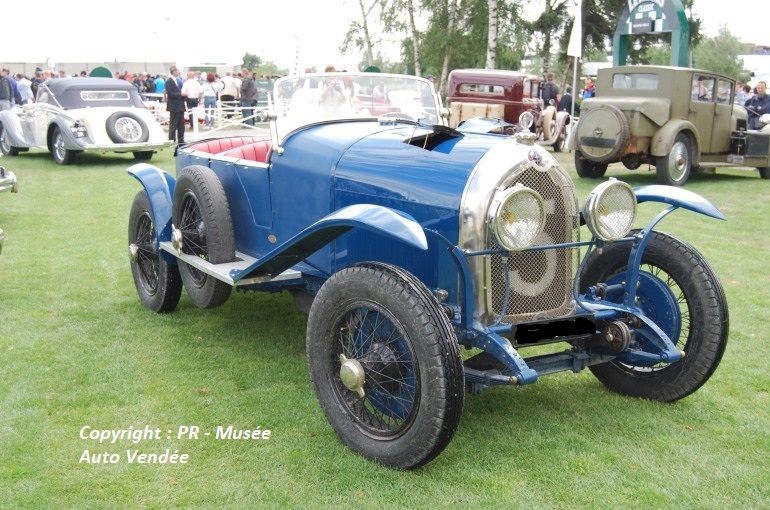 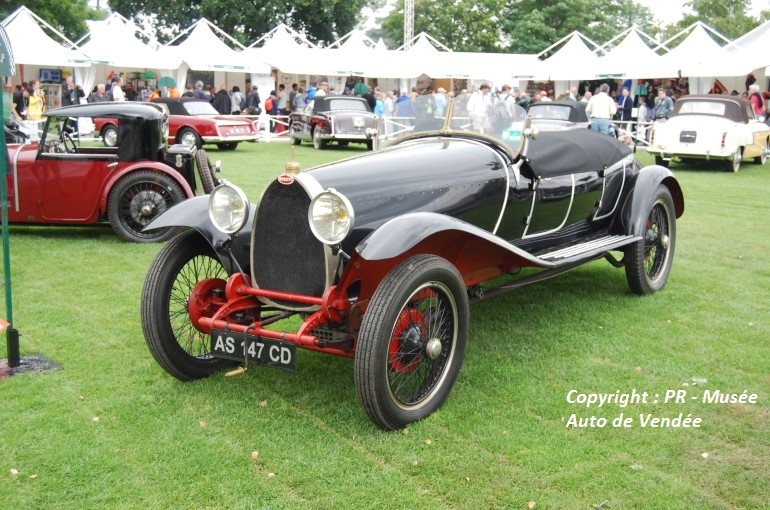 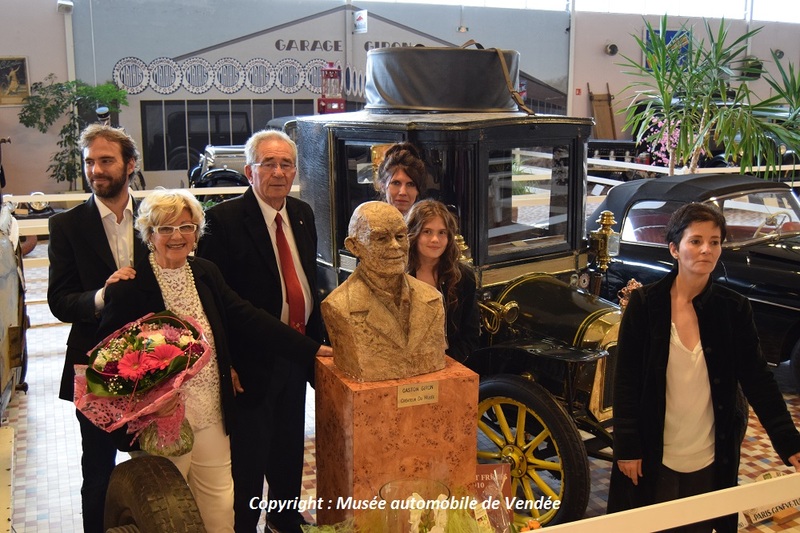 During this nice and great event around historic vehicles, the FFVE organised a new show with french cars designed by french designers to help her in her project to ask Unesco to recognise French coachbuiders as Heritage. 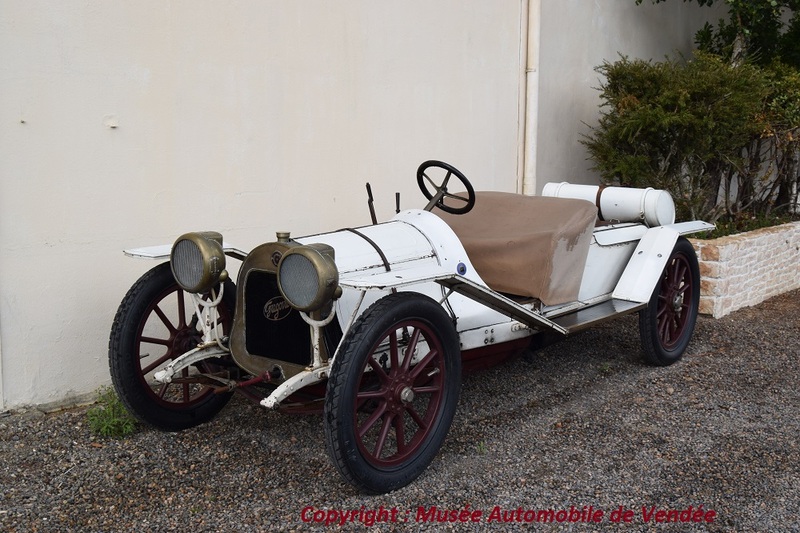 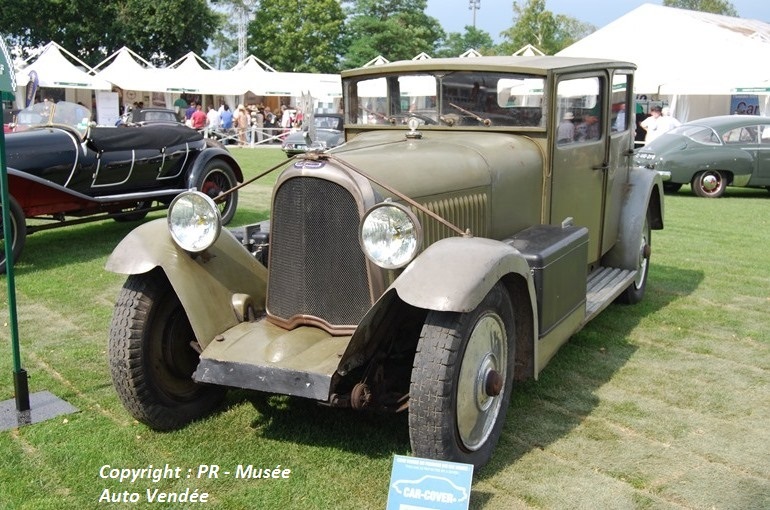 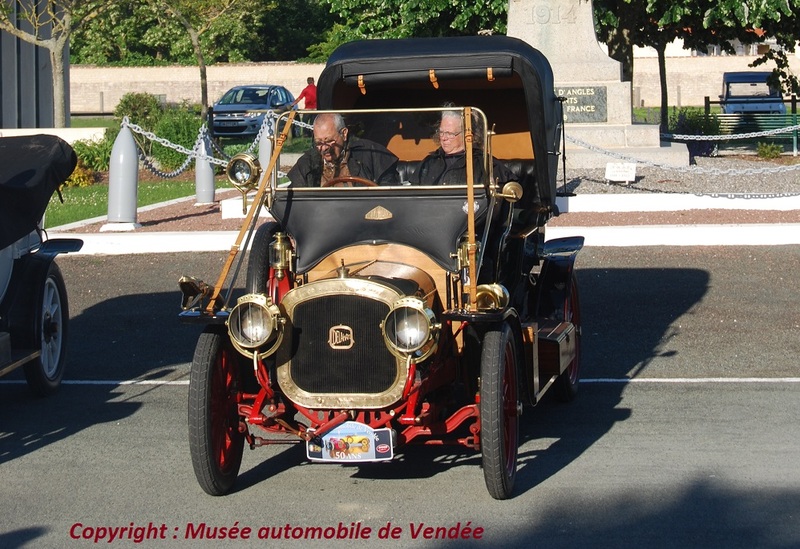 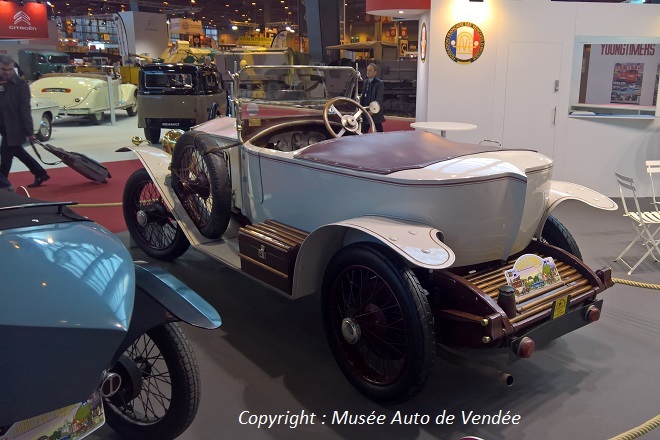 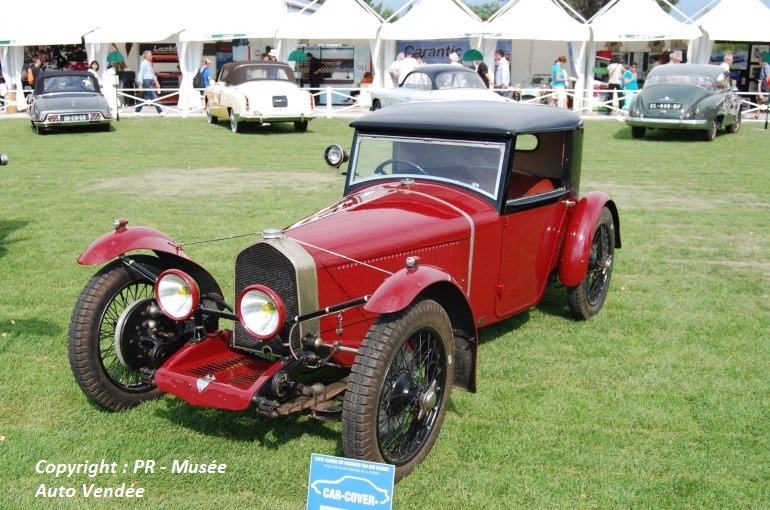 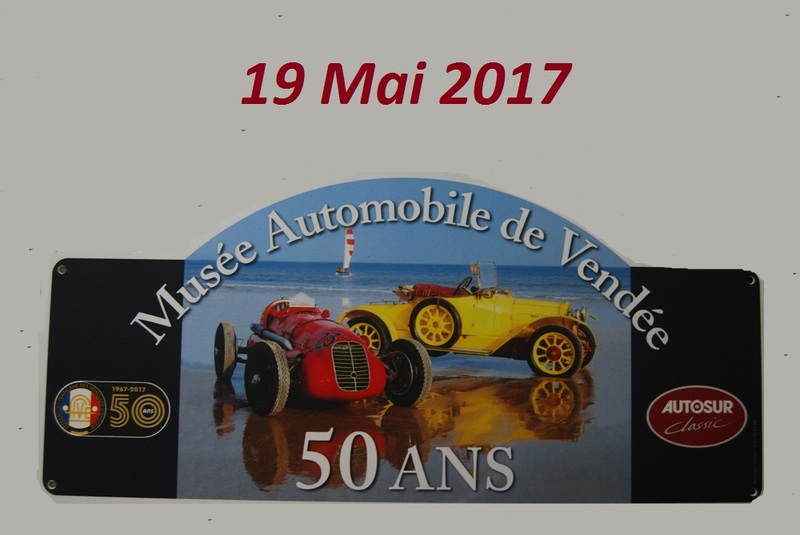 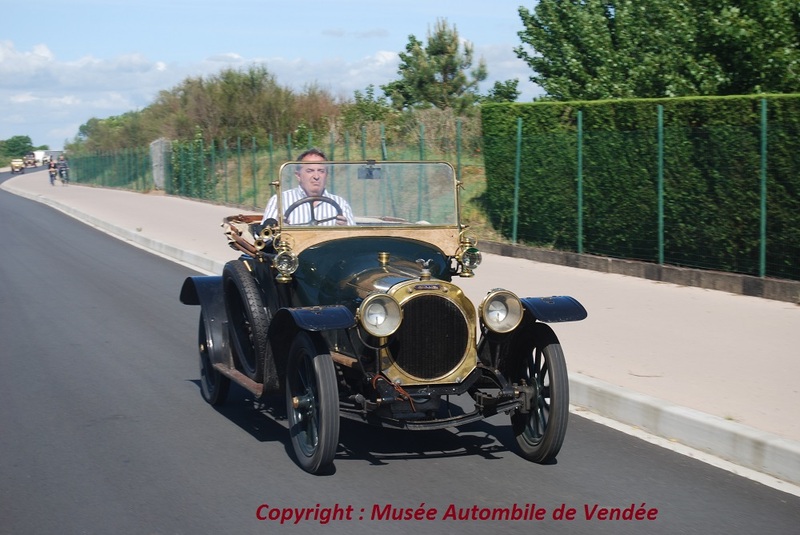 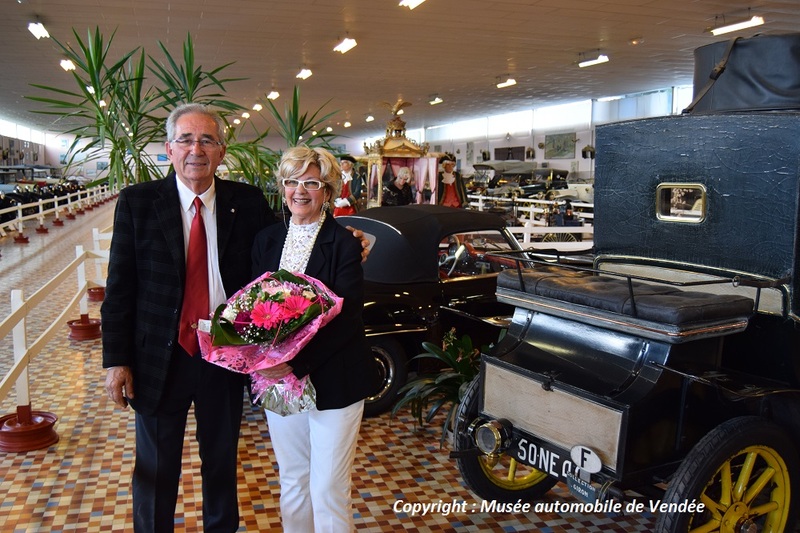 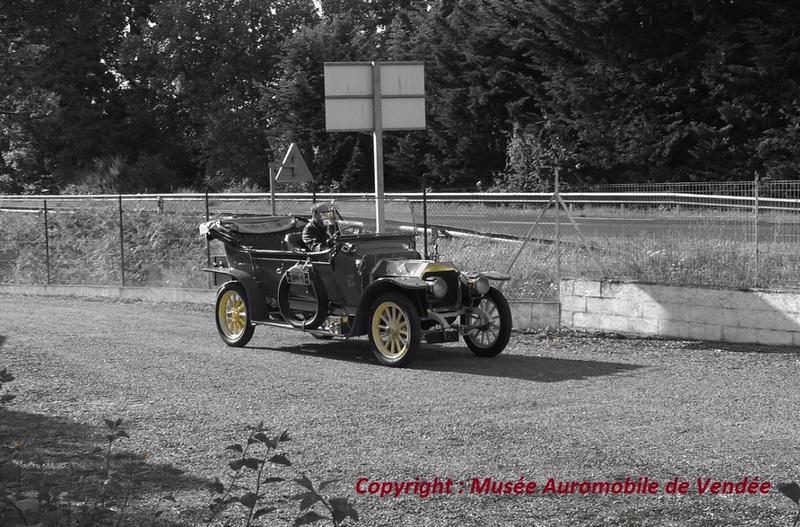 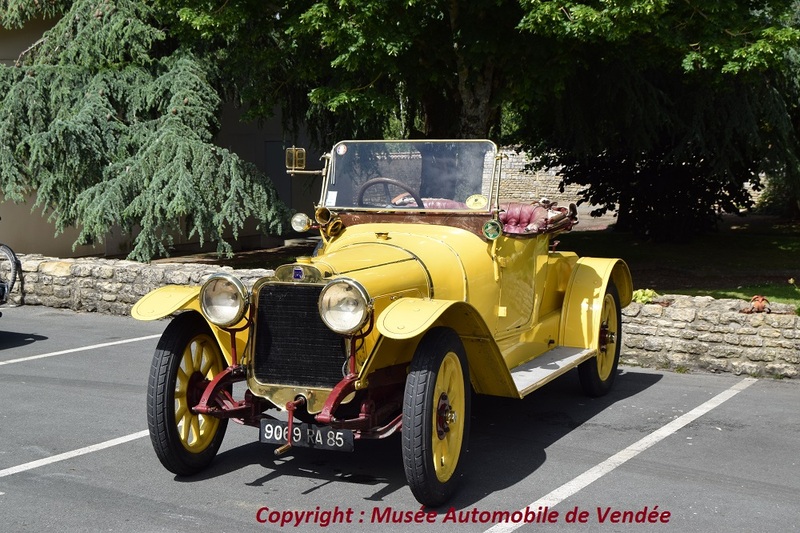 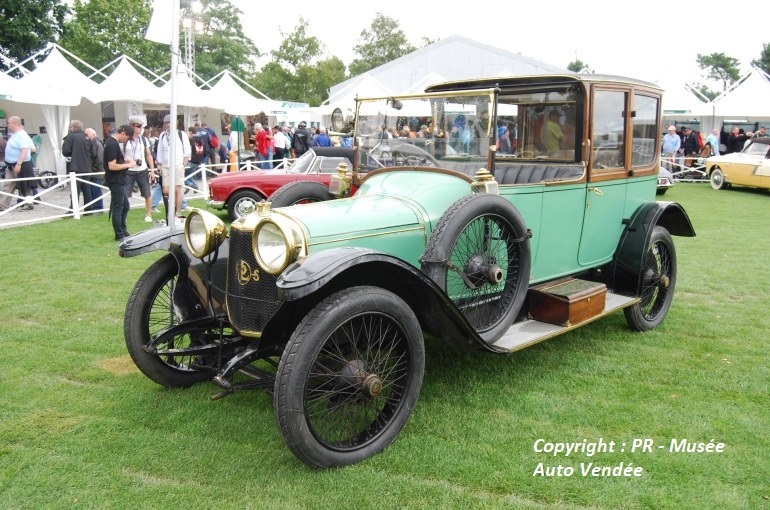 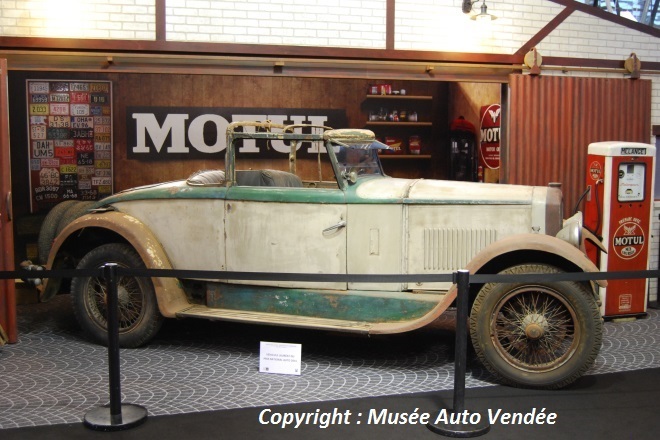 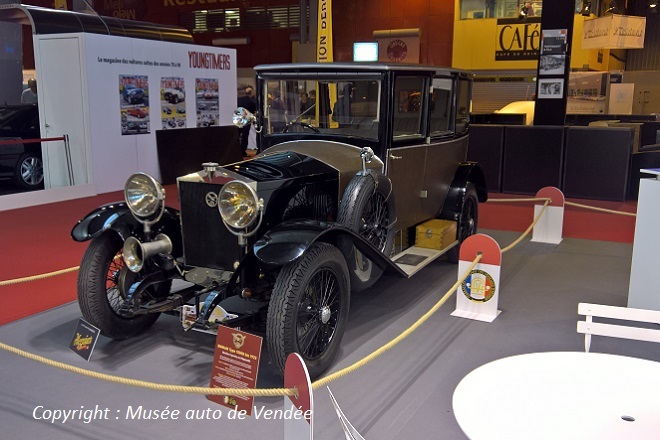 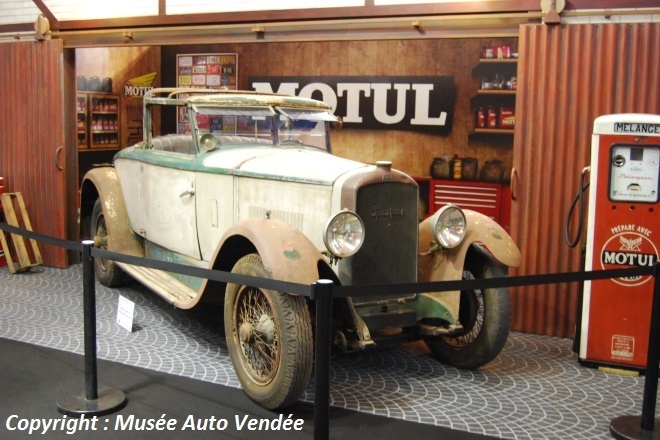 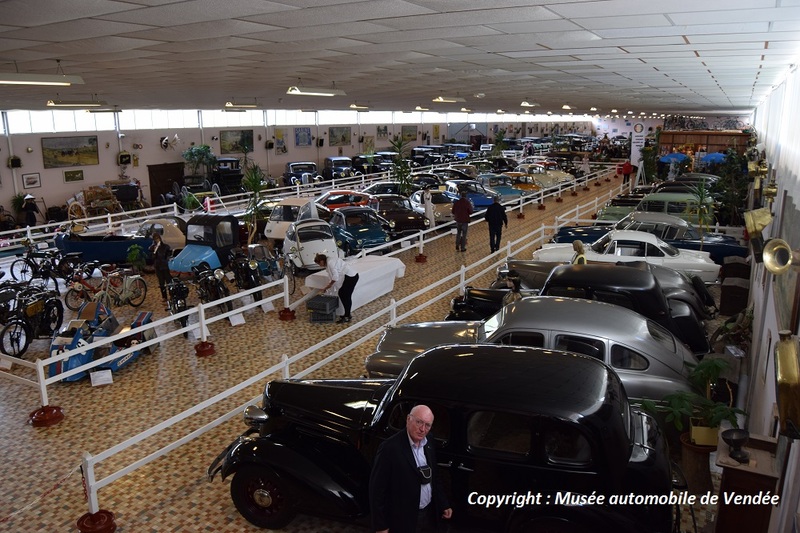 The Musée Auto de Vendée was there with one of our nice cars : a Panhard and Levasoor X26 coupe de ville designed by Belvalette in 1913. 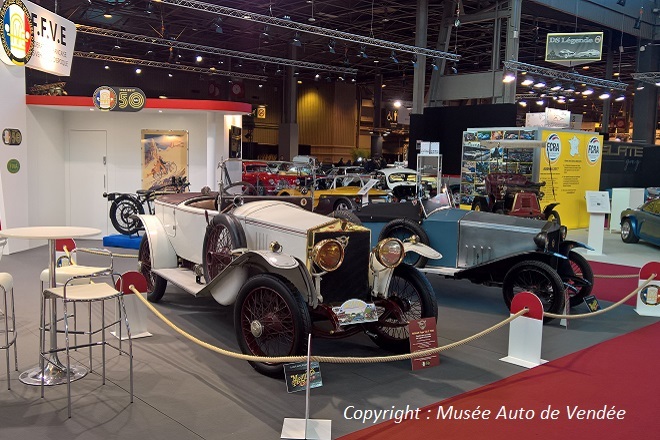 It was during the exhibition: AVIGNON MOTOR FESTIVAL of 21 to 23 March 2014 that took place on 'traditional' Jacques Potherat Trophy in memory of journalist who loved beautiful cars and more particularly cyclecars. 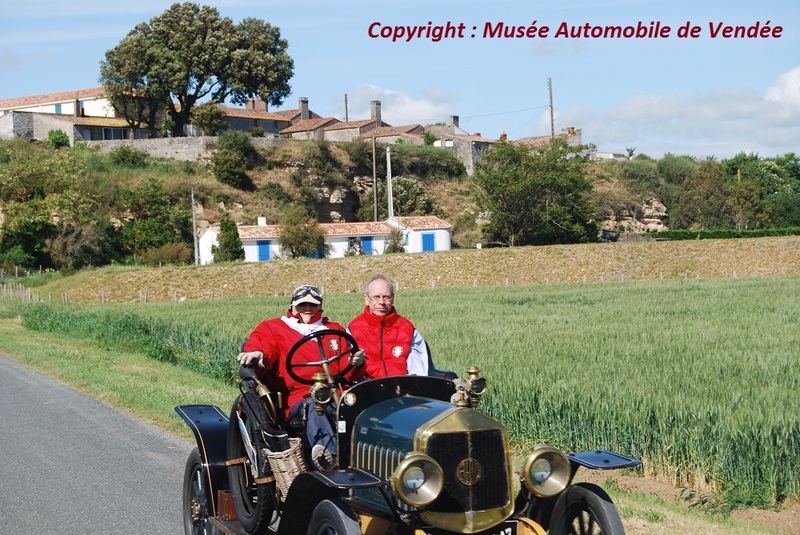 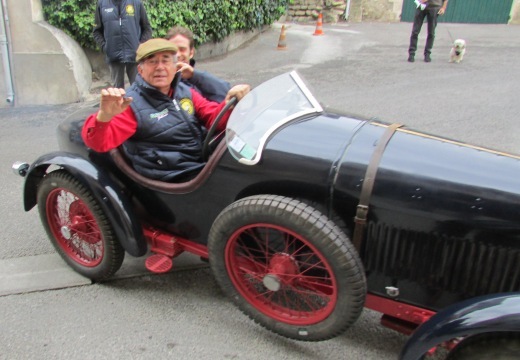 Our Museum was represented by Valy Giron and her son Tanguy driving the Museum's Amilcar newly restored.